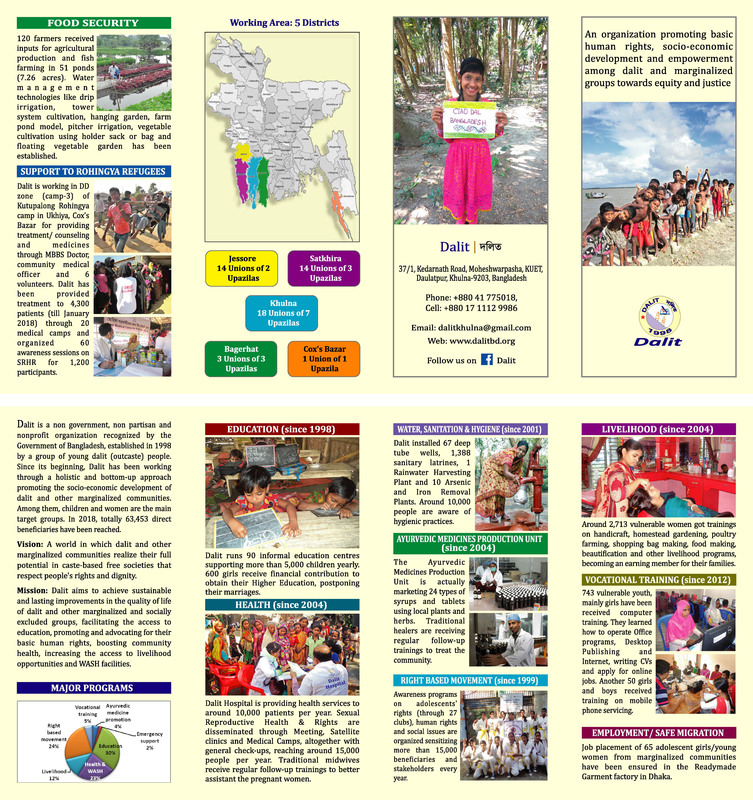 “Enhancing awareness on SRHR among dalit and marginalized adolescent girls and women” is a specialized project of Dalit on Sexual Reproductive Health & Rights since 2016. 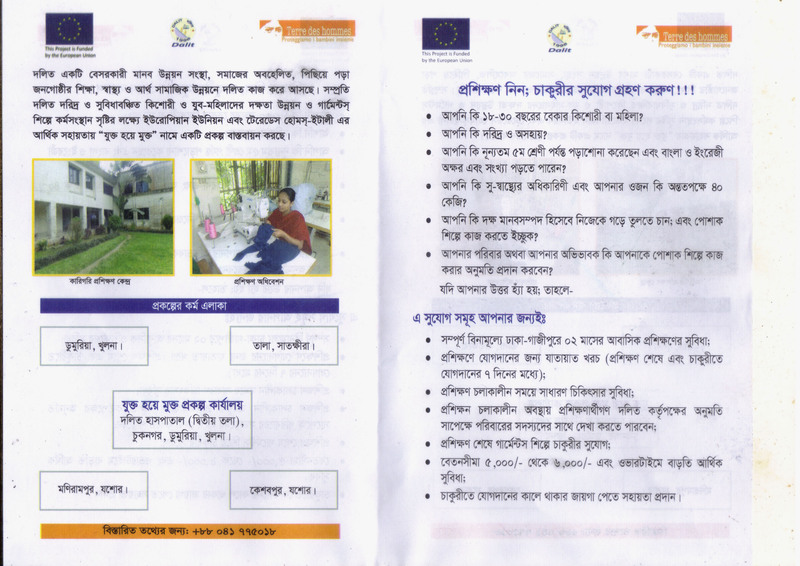 Major Activities of the project are: Facilitate the development of CRC (Citizen Report Card); Groups mobilization to access more qualitative SRHR information and services for marginalized people; Approach public health officials at CCs, Union Parishad, Upazila, District level. 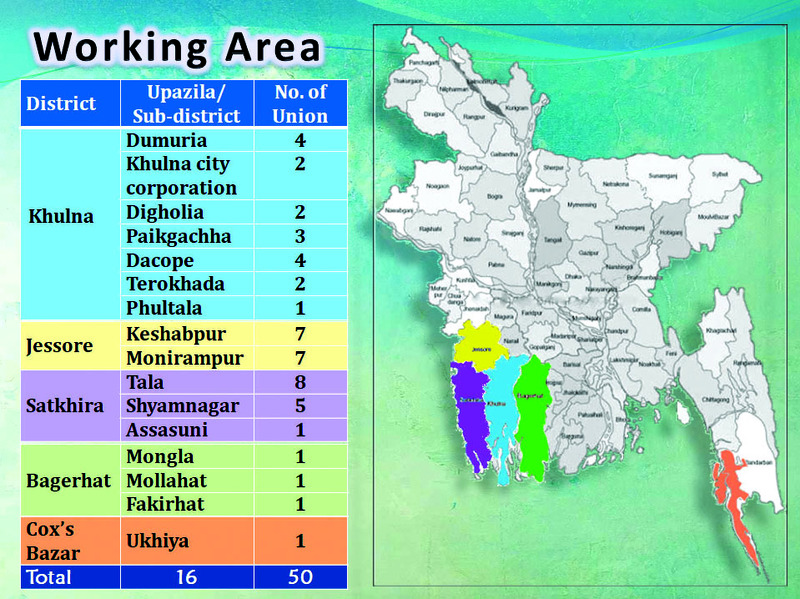 The project is implementing in 18 Unions under Dumuria and Phultala upazila in Khulna district involving 7,852 direct beneficiaries. Enhancing knowledge and skills on Sexual and Reproductive Health & Rights through awareness program among adolescent girls & women. Providing skill based training for adolescent girls & women. CRC Report sharing with local administration.